I went over all six of the different subclasses in Destiny over the last couple weeks, talking about their abilities both in PvE and in the Crucible. I’ve talked about general tactics for the Crucible as well. I went over the new Iron Banner event yesterday. One thing that I never really talked about specifically is what kind of gear and weapons you should be trying to get for use in the Crucible. I point out the Crucible because I think the build is different than PvE ones – out in the wilds, you should have a flexible set of gear depending on what enemy you’re dealing with, if you are playing with a fireteam, and which Vanguard bounties you have. I want to approach this from the perspective of a player who’s already at least level 20, so I’m talking about legendary and exotic weapons. As for the armor, I have a different set of parameters so just legendary or exotic doesn’t really seal the deal. Before that though, quickly for players that aren’t quite level 20 yet, look for a Shingen style auto rifle as your primary. The firerate, and solid magazine size makes them really good options, at least for now while the auto rifles are still pretty powerful. Your special weapon is primarily dependent on the map – smaller maps you really want a shotgun – I like the Suros style shotguns or the Black Chasma Crucible variant. They put a lot of damage out in one pull of the trigger, and depending on the individual stats, have surprising range. For your heavy weapons, I still think a rocket launcher is a bit better option – it’s a quicker damage output than the machine guns are. For the characters that are at a level where they’re starting to grab legendary or exotic weapons, there are a couple standouts. 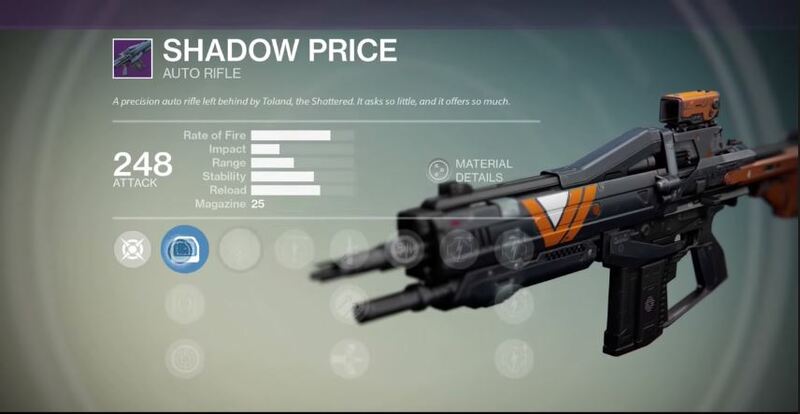 First is one of the legendary Vanguard rifles – Shadow Price. It’s the rifle I’m currently using in fact – it’s essentially a beefed up version of the Shingen style rifles. It’s got a solid 24 bullet clip, plenty of shots to get two kills before reloading, the recoil pattern is predictable, and in standardized damage, it’s a pretty reasonable kill speed. It also has some pretty useful upgrades – one that increases reload speed after precision kills (which you should be aiming for), second that is a straight up reload boost beyond that, and one that restores ammo and boosts reload after near death kills. This combo makes your reload about as fast as possible – and can even be boosted further using War Machine on a Defender. As always in Bungie style multiplayer, reloads are super important – long time Halo players know all about that, so having a maxed reload is a really nice bonus. 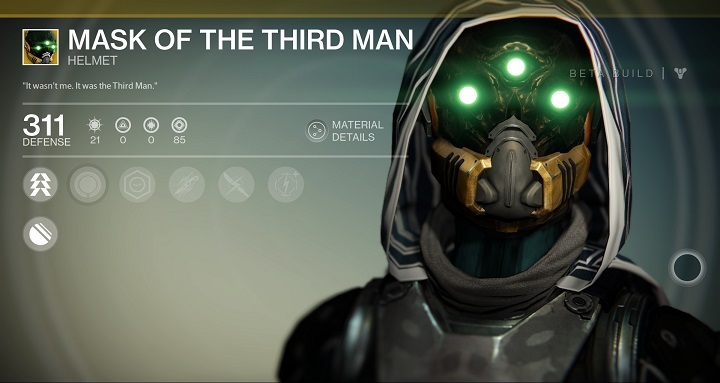 A solid second option is the SUROS Regime exotic that Xur sold two weekends ago. It’s not a crazy fast rifle, but it does have one of the best upgrades for PvP – aiming down the sights increases the damage dealt. That combined with a solid accuracy makes it a very popular choice in the arena. As for secondaries, I still think that any legendary or exotic shotgun is your best bet, unless you can’t get a hold of one. This is admittedly the weapon slot I have no real pick for, since it’s the one category I haven’t gotten a legendary or better in yet – despite plenty of Vanguard rewards, I haven’t gotten on yet. 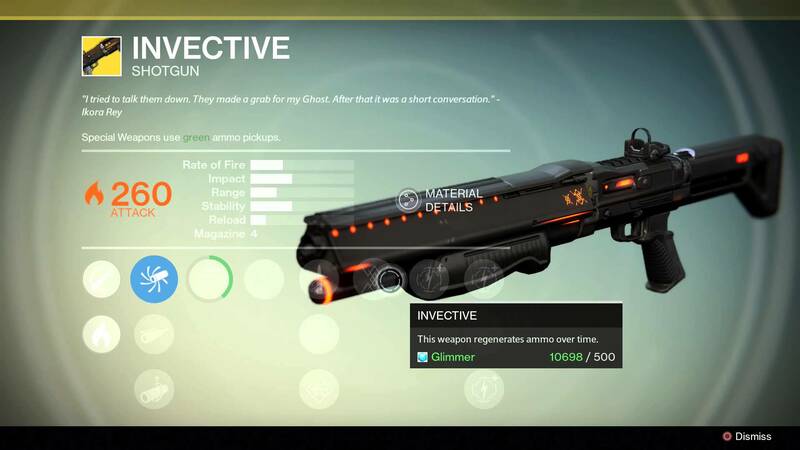 However, there are a couple standouts I’ve seen out there – Invective, the exotic bounty shotgun reward; The Comedian, the Vanguard legendary shotgun; and Universal Remote, a raid reward exotic that actually functions as a primary weapon. What you really are looking for is a weapon that has decent enough range to kill in one pull of the trigger – whether it’s a shotgun, fusion rifle or sniper, you want to maximize your kills-per-shot with special ammo. I think shotguns are best for this, mainly because fusions rifles are beaten with solid strafing skills, and snipers are limited situation weapons. For heavy weapons, I’m a little torn. 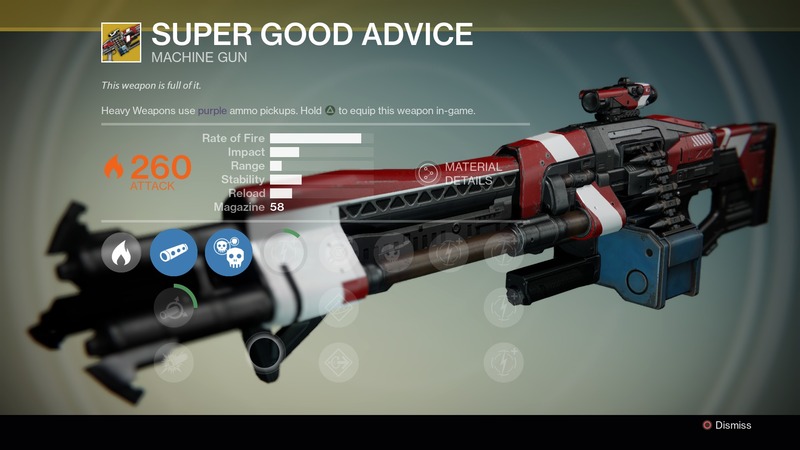 I run with Super Good Advice, an exotic heavy machine gun that you get as a bounty reward – it’s a pretty solid weapon, good damage, and a great upgrade. The Super Good Advice upgrade makes it so almost every shot that misses go right back into the magazine, extending your ammo by a lot. The problem is that the recoil pattern with it is by far the worst I’ve seen with a machine gun. Good other machine guns would be Thunderlord (which should be typed as THUNDERLORD I think), which is a Crucible reward that has a much better recoil pattern; or The Swarm, the Vanguard option, it’s got a slower rate of fire, but it has almost no recoil to deal with. For your armor, there’s really only one thing that should adjust which pieces you wear. If you have exotic armor that boosts skills with one particular subclass, use it; regardless of stat boosts, having the extra ability boosts are always great. I prefer the Striker subclass on my Titan, but because I got the Helm of Saint-14 from an engram, I tend to run with Defender because of its upgrade that blinds enemies in Ward of Dawn. 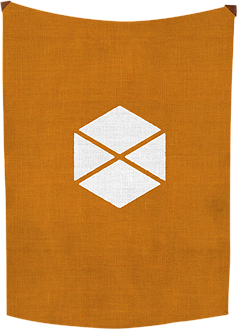 As for which legendary armor you want, from what I can tell, you want to grab the Future War Cult gear. At least as a Titan, every piece of their armor has Discipline and Intellect boosts, which are the real stat you should look at for Crucible. In the Wilds, Strength is totally worth boosting up, but in Crucible you want your grenades and super ability available as much as possible. In regular Crucible matches, the actual defense rating doesn’t matter too much, that’s more for Iron Banner. If you can get good upgrades to boost your grenades or melee cooldown on those items, that’s even better – same with ammo or reload boosts for specific weapons, but again, keep looking for Intellect and Discipline gear. Now that the calendar has ticked over to October, we’ve had Destiny for just about a full month. It’s been an interesting first month for a game that was arguably the most hyped of the year. It has been a month of ups and downs, with moments that I think any developer would love, and others that demonstrate the difficulty in delivering on all those promises. 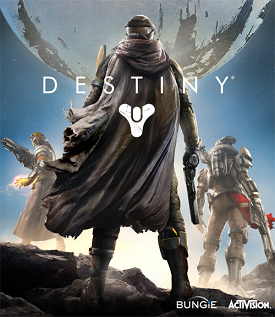 Destiny isn’t a perfect game – I don’t believe such a game is possible – but it’s a game that for all its flaws, keeps me totally engrossed. There are issues for sure, but Bungie is a developer that I trust to make the right changes to hone in on delivering as close to that ideal game as possible. What I want to do now is go over just how I think the first month went for Destiny – what works, what doesn’t and what I think is on the horizon over the next couple months. Let’s start with what works first. 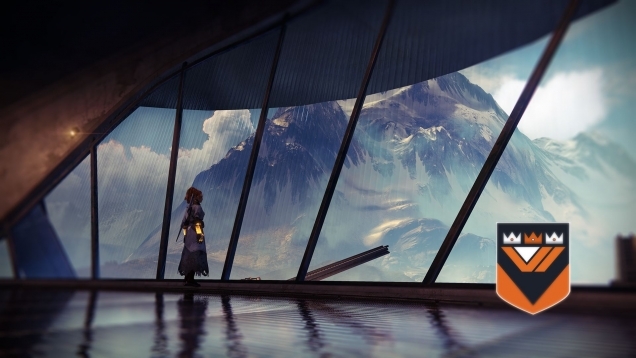 Bungie got all of the action parts of Destiny pretty close to perfect. All of the gunplay feels really solid, the grenades all work well, and behave different enough to have unique feels, and the Super Abilities all are not only fun to use, but work exactly the way they should. Each class feels different enough from each other to have an identity, but similar enough where there isn’t a huge learning curve between characters. Beyond that, the worlds that you run around are easily some of the best looking environments I’ve seen in a long time. The game itself just looks incredible, all around really. It’s the little things that I keep noticing – the lighting effects that are constantly changing based on where the main sources are, the day/night cycle that makes certain areas look even more foreboding, and skyboxes that have more detail in them than some games could ever hope for. The other part of this game that surprised me a little bit was the Crucible – I didn’t expect to really love the PvP in Destiny, mainly because I could easily see ways that it could be broken. In practice, it’s still pretty rough around the edges, but I’ve been enjoying it a lot lately – there are a few issues that really stand out, but in classic Bungie form, you continually get the opportunity to make some serious awesome plays happen. It takes a lot of my favorite parts from Halo – melee, grenade and gunplay – adds in the Supers and movement modes, and produces a fun PvP experience. 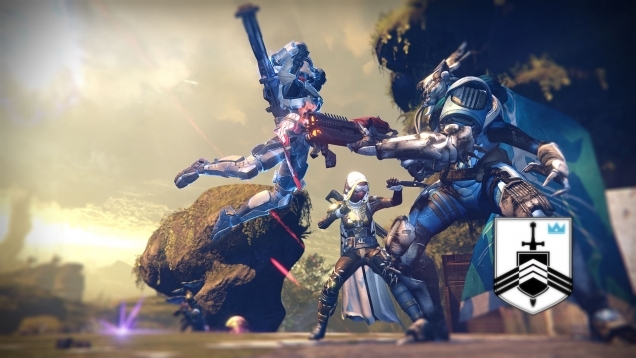 As for some of the standout issues in Destiny, the big ones have been well documented. The story is laughable at best, mainly because I think of the reliance on telling the details outside of the game. There’s a strong voice cast that is totally underutilized – no one has any real character behind them. Any backstory information is either assumed that you should know it, or told in the Grimoire, outside of the game. The loot system just got its first shot in the arm, “fixing” the engram system so you are guaranteed at least the color that it is. I honestly didn’t see an issue with having it be a bit of a grab-bag, the engrams just needed drop more frequently. Hopefully this will make it a bit less of a grind for gear after 20, although you’ll still need to to get upgrade materials. The Crucible still needs a bit of tweaking – the map rotation needs a lot of love, the weapons need a bit of extra balancing and some classes are clearly over-powered (Bladedancer Arc Blade anyone?). But these are things that Bungie can absolutely fix in the next few weeks. The story – well, that’s a different beast. Can it be fixed during the course of this game’s lifespan? Possibly – it will need a lot of attention in DLC and going forward regardless. Where does that leave Destiny heading forward though? The first DLC pack is slated to come out in December, giving us a couple more months of weekly events and grinding before we really dive into new content. That really amounts to Bungie having two months to fine tune the base game a bit more. I’m not sure if we’ll get weekly patches like we have so far, but I think we’ll get at least a few more noticeable fixes. Ultimately, I think Destiny is set to be a great frame to build what could be a potential monster. Had every promise been filled, Destiny would have been one of those watershed games – the next Wolfenstein 3D, Half-Life, GoldenEye, Halo or Call of Duty: Modern Warfare – at least as far as console games are concerned. As it stands now, it’s a game with tons of potential, one that very well could still live up to it, but it’s not quite there yet. Still absolutely a very very fun game, one that I see myself playing for a while longer for sure. 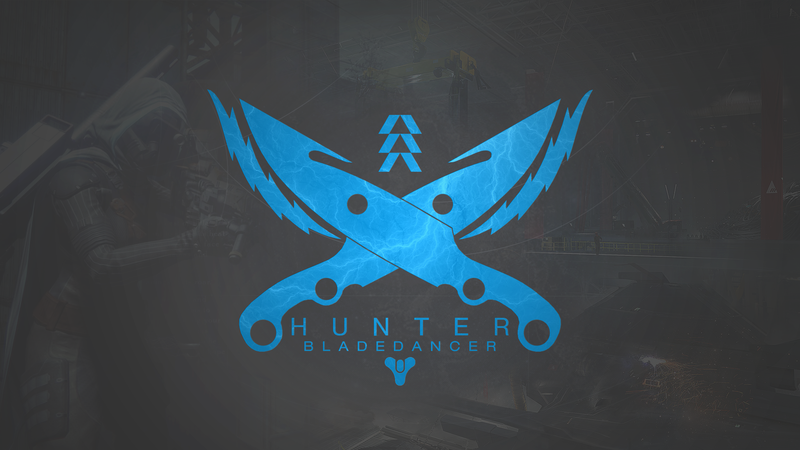 Rounding out my tips and tricks for each of the subclasses in Destiny, today let’s walk through the Hunter’s second subclass, the Bladedancer. To be totally honest, the Hunter is the class I have the least amount of time with, but I still think that Bladedancer is pretty self evident how to go about building. Just like yesterday, before we dig into the specifics of the class, let’s first look at some of the gear you should be trying to pick for Bladedancer builds. With the Sunsinger from yesterday, I said you should be trying to grab discipline gear to keep your grenades up. With the Bladedancer, I would say you want to grab as much strength or intellect gear as you can find. You’ll want to keep an eye on the defense rating too until you hit the Legendary/Exotic tier gear, since Bladedancer is generally a melee class. Keeping your Blink Strike up, as well as having extra strength behind the melee attacks is desirable. Best case scenario is finding gear with both intellect and strength on it, keeping both Blink Strike and Arc Blade active as much as possible. Now let’s start like we always do with the grenades for the Bladedancer: the Flux, Skip and Arcbolt grenades. Flux grenades are basic explosive grenades, but they deal extra damage if you can stick enemies with them. The Skip grenade is kind of similar to the Scatter grenade on the Voidwalker – it splits on impact into smaller explosives, the difference is that the smaller ones slide around the ground toward enemies. The Arcbolt grenade is the Hunter’s answer to the Axion Bolt grenade – an arc damage grenade that links enemies in the radius with lightning bolts. The grenades are all very similar in that they’re all best used against small groups of enemies or single bosses in PvE, but all retain their use in PvP. In terms of which I prefer – I like the Skip in the Crucible, it has a bit more margin of error with the splitting up of the explosive; and really I would switch between the three in PvE depending on the situation. The melee attack for the Bladedancer is the Blink Strike – a quick teleport attack that has a bit more range than a normal melee attack. It can be upgraded with Backstab, Escape Artist and Fast Twitch. Backstab is pretty self-explanatory – hitting enemies from behind deals critical damage, basically amounting to a precision hit. Escape Artist grants you a brief period of invisibility after you hit enemies with Blink Strike. This will let you get a melee attack in on tough enemies, to hopefully stagger them, then use the invisibility to run away. Fast Twitch just straight up reduces the cooldown on Blink Strike – keeping you punching more frequently. Blink Strike is a pretty powerful attack, especially in PvP, which is why I recommend using gear to keep it up as much as possible. Pair it with Escape Artist and you can bounce around from enemy to enemy, and paired with Fast Twitch you’ll be Blinking even more so. Now we get to the meat and potatoes of the Bladedancer subclass – Arc Blade. Arc Blade is what makes this subclass perhaps the most dangerous one in the Crucible, at least as it stands as I write this. I have a hunch that some tweaks might be in the future for Arc Blade, at least as far as PvP is concerned. Arc Blade infuses your knife with electricity, and lets you dash from enemy to enemy dealing lots of melee damage. You can add in some extra bonuses with the upgrades: Showstopper, Razor’s Edge, and Vanish. Showstopper lets you deal some extra damage to nearby enemies using your main fire button. Razor’s Edge sends out a wave of energy along the ground to damage enemies again using primary fire. Vanish lets you disappear from sight, letting you sneak around to dish out sneak attacks. I don’t necessarily see the value in Vanish, but Razor’s Edge and Showstopper both are worth looking into. As for the class upgrades, Bladedancers have access to: Fleet Footed, Quick Draw, Shadowjack, Encore, Stalker, and Hungering Blade. Fleet Footed lets you sprint faster and slide farther – helping you close the gap and dish out melee attacks. Quick Draw lets you aim your weapons immediately, getting you ready to fight instantly. Shadowjack increases the duration of the invisibility effects that are part of a number of different abilities, letting you get closer to the fight – really nice in PvP. Encore makes it so kills with Arc Blade extend its duration, letting you dash around even more. Stalker lets you disappear from sight after you crouch for a few seconds – or dance for a few seconds. Hungering Blade makes both your Blink Strike and Arc Blade attacks immediately regenerate health after kills. Combining Shadowjack and Stalker keeps you stealthily killing, while Fleet Footed and Hungering Blade gets you close to enemies then regens your health after killing them. Ultimately, the Bladedancer subclass is a funny beast – it’s not made for fighting bosses really, since just about every Ultra enemy has a “ground pound” attack that pretty much one shots you. Instead it’s great for clearing out groups of lesser enemies, letting your teammates focus of the bosses. Where it really shines though is in the Crucible – Arc Blade slices through enemies like they weren’t even there. In Control it’s almost unstoppable for clearing points, since you gain an inherent damage resistance while it’s up. Combined with some nice stealth abilities, you can also keep sniping enemies to build up Arc Blade, or use it to rush in and use melee skills to grab kills. I do see some changes coming down the pipe in the future, really for a lot of things in the Crucible (auto rifles) but for now, Arc Blade and Bladedancer just dominate close quarters combat. 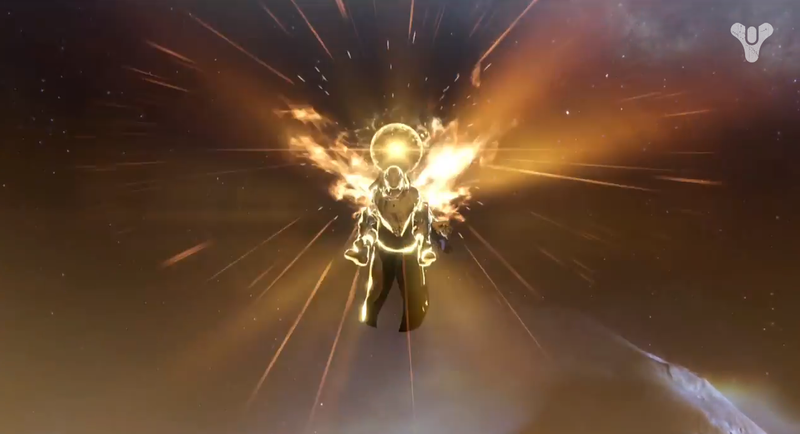 Continuing our walk through the second subclasses for each of the main classes in Destiny, today let’s look at the Sunsinger subclass for the Warlock. It’s definitely a different beast from the Voidwalker subclass, not just for the difference in the damage type, but for the focuses that the upgrades set up for. Tomorrow will wrap up the subclass guides with the Bladedancer for the Hunter, and on Thursday I’ll do a postmortem on the first month of Destiny‘s lifespan before starting to look ahead again to Borderlands: The Pre-Sequel, Sunset Overdrive, Call of Duty: Advanced Warfare and Halo: The Master Chief Collection. Before I dive into the actual upgrades for the Sunsinger, it’s important to look at your gear for Sunsinger builds. With Voidwalker builds, you can totally get away with a strength build, using Energy Drain to continually keep your grenade and Nova Bomb charging. Sunsinger on the other hand really benefits from a discipline build – keeping your grenades up is super important, especially when paired with Radiance. We’ll get into the specifics as we talk about Radiance, but keep in mind that when getting gear – it might not be a bad idea to keep a second set of gear specific to either subclass, especially if you are going to switch back and forth. With that said, let’s start off with the grenades for the Sunsinger subclass. You have access to the Solar, Firebolt and Fusion grenades. The Solar grenade essentially is a fire damage variant of the Vortex grenade – it’s got a good blast radius and stays up dealing damage over time for a good bit. Similarly the Firebolt grenade is close to the Axion Bolt grenade – it has a short first explosion, before sending out fireballs to hit enemies. It’s not quite as effective at hitting enemies around corners, but it does send out three bolts, which travel much faster. I like it in PvP myself for hitting enemies you can’t see around corners. Finally, the Fusion grenade really excels for taking down bigger enemies – it deals bonus damage if it’s stuck to a target. Depending on your preferences, I think your best options are the Solar and Firebolt grenades – both are really strong choices, and pair well with Radiance. Before that, let’s hit the melee ability for Sunsinger – the Scorch melee attack. A lot like Energy Drain, it has a lot more range than you might expect, so don’t let that fool you. As a base attack it deals solar damage, and lights enemies on fire, dealing some damage over time. The upgrades for Scorch include Flame Shield, Solar Wind, and Brimstone. Flame Shield grants you an overshield when you deal damage with Scorch – which helps if you’re running around in the fray. Solar Wind makes hits with Scorch knock enemies back, keeping you a bit safer. Brimstone causes kills with Scorch to make enemies explode – giving you a bit of an option against groups of enemies. I like Flame Shield, especially in the Crucible – having an overshield is always a good thing. One thing to keep in mind – Scorch has a bit longer cooldown than Energy Drain does, so going with a discipline builds means you probably won’t be tossing Scorch around a ton. Now we get to the crux of the subclass – the super ability, Radiance. The description of Radiance is a little obtuse – just saying that it increases the effectiveness of all your abilities. What this translates to is a much much shorter cooldown on your grenade and Scorch. That’s why it’s so important to go with a discipline build – using that stat’s effect combined with Radiance lets you toss around grenades like crazy. It’s not at all unreasonable to get out at least six grenades during one Radiance. Not only does that help by clearing groups of enemies out quickly, but it also generates lots of orbs. Radiance’s upgrades are Song of Flame, Radiant Skin and Fireborn. Song of Flame reduces all the cooldowns for nearby allies, helping keep them supered, with grenades and melees up. Radiant Skin gives you a pretty sizable damage reduction with Radiance active. Fireborn lets you activate Radiance after you’ve been killed, essentially acting as a self-revive. Depending on what you’re going to be doing in game, you can mix up what upgrades you have on. Song of Flame is good if you have a group of teammates in PvE, while Radiant Skin and Fireborn both get more use in the Crucible. Fireborn is also nice to have for high level strikes that you can’t respawn without a teammate reviving you. As for the class modifiers we have Radiant Will, Viking Funeral, Sunburst, Touch of Flame, Angel of Light, and Gift of the Sun. Radiant Will extends the duration of Radiance, giving you even more time to toss around grenades, and keep cooldowns low. Viking Funeral makes enemies you ignite burn longer and take more solar damage, nice to have extra damage anytime. Sunburst makes it so kills with Scorch have a chance to drop Orbs of Light, again helping your teammates stay supered. Touch of Flame makes it so every grenade ignites enemies, giving them all damage over time. Angel of Light allows you to hover in midair if you aim down the sights while in the air, which is a nice tactical move, especially in the Crucible. Gift of the Sun gives you a second grenade – again pairing incredibly well with a discipline build and Radiance. 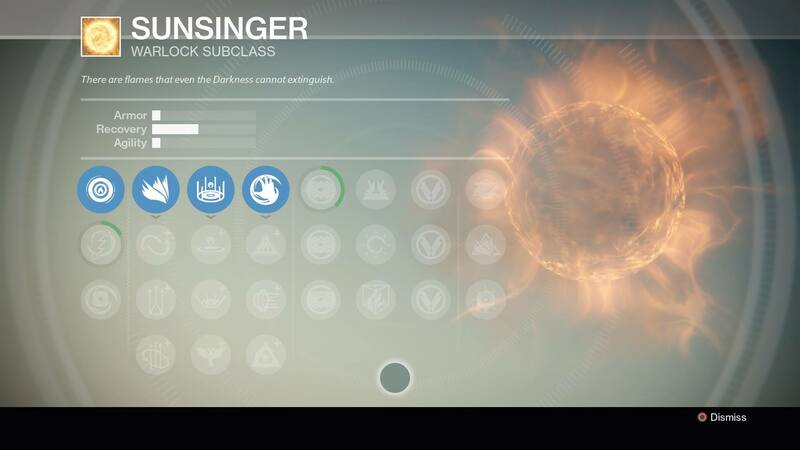 Upon first glance, it might look like Sunsinger is a buffing class, thanks to keeping cooldowns low and adding damage resistance with Radiance; but in practice, Sunsinger is a lot like Voidwalker – it’s a glass cannon class that lets you throw lots of grenades that can cause damage over time, while at the same time, you still have some fragility to deal with. It’s a lot of fun to play in the Crucible for sure, using Flame Shield and Radiant Skin to keep you alive in the fray while still tossing grenades out there to get kills. I ran through each of the default subclasses for all three main classes in Destiny a couple weeks ago. 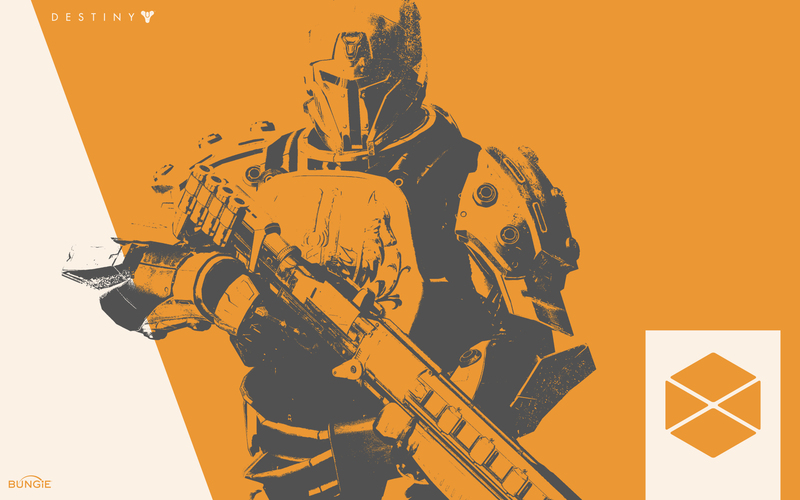 Now that I’ve had a bit more time to mess around with each of the second classes on each class, I will be doing the same thing – starting with the Titan, moving to the Warlock tomorrow and Wednesday will be the Hunter. The Titan’s secondary subclass is the Defender. Overall, the Titan in general is the tankiest class across the board – the base armor stat is the highest of all three classes. The Defender subclass takes that mentality to heart, with a number of abilities that are designed to increase defense, not only for you but also for you squad. With that in mind, let’s dig into the abilities for the Defender a bit more in-depth. First up are the three grenades available to the Defender. In contrast to the Striker, the Defender uses void damage, both for the grenades as well as the melee attack. The three grenades are the Magnetic, Spike, and Suppressor grenades. The Magnetic grenade is great for large, difficult, single enemies – it attaches to enemies and explodes twice. The Spike grenade is an area control grenade – it sticks to any surface and spews out void damage. The Suppressor grenade is tailor made for PvP – it explodes and prevents enemies from using abilities. Since the Defender uses void damage, it’s a great choice for Venus and Mars, since the Vex Minotaurs have void shields on them. The three grenades all fill different roles pretty well too – Magnetic grenades are great for doing some serious damage to single enemies or tight bunches of them; Spike grenades help pin down a pathway, making enemies find a different route, or take some damage; and Suppressor grenades are awesome in PvP to keep the enemies from using their own abilities against you. Moving on to the melee ability for the Defender, we get to Disintegrate. 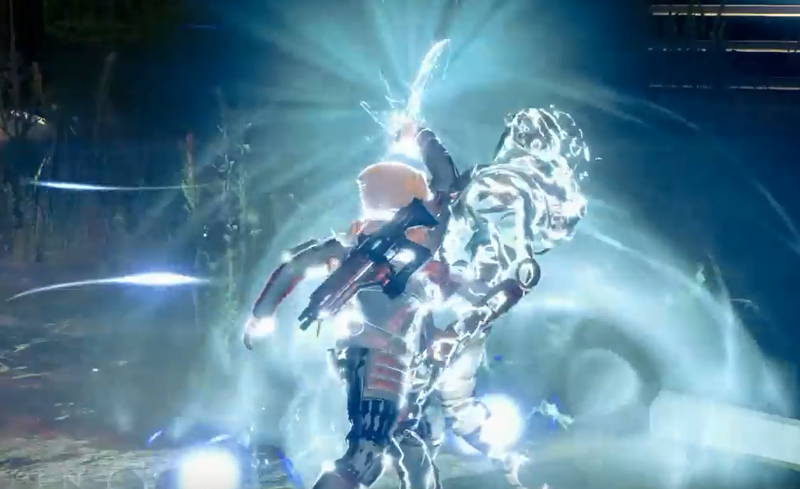 Similar to the Storm Fist for the Striker, at its core, Disintegrate is a extra powerful melee strike. Beyond that though, killing any enemies with Disintegrate generates a Force Barrier around you, essentially granting you an overshield. The first upgrade for it, War Machine, makes it so while the Force Barrier is up, all your weapons reload and ready very quickly. Next up, Gift of Light makes it so while Force Barrier is up, any melee kills generate Orbs of Light – very nice to help boost your teammates. Finally, Unbreakable makes it so the Force Barrier continually recharges, keeping you extra protected. Disintegrate is great for giving you a quick boost to your shields while you’re right in the thick of it, and with Gift of Light, can help generate extra Orbs for your fireteam, helping clear fights even quicker. Because Force Barrier is tied into the base melee attack, you don’t need to worry about losing it with certain upgrades. Moving on to the Super Ability for the Defender, let’s talk about Ward of Dawn. Ward of Dawn is the only Super across all the classes and subclasses that is fully defensive. 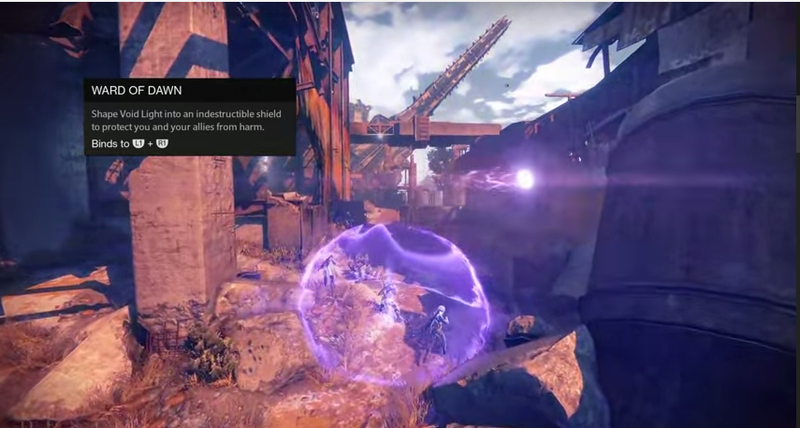 Activating Ward of Dawn generates a large, purple dome of Void Light that totally prevents enemy fire. Enemies can pass through into it – at least in PvP they can – but that just puts them into close quarters with you and your team. The upgrades for Ward of Dawn start with Armor of Light, giving anyone inside the Ward of Dawn significant damage resistance. Next up is Blessing of Light, which gives anyone who passes through the Ward a temporary shield, extending the protection for a bit longer. Finally, we get Weapons of Light, giving anyone who passes through the Ward an increase to weapon damage – good for dishing out some extra damage to large groups of Major and Ultras, or bosses. Ward of Dawn in general is most useful when you are playing with a full fireteam, as it’s benefits apply to everyone. As for the class and ability modifiers, the Defender has access to: Bastion, Relentless, Gift of the Void, Untouchable, Iron Harvest, and Illuminated. Bastion increases how long Ward of Dawn is up; Relentless increases the strength and duration of the Force Barrier from Disintegration; and Gift of the Void, which makes the Ward of Dawn generate Orbs of Light as it takes fire from enemies. Untouchable reduces the cooldown on Ward of Dawn; Iron Harvest makes Heavy Weapon kills have a chance to generate Orbs of Light; and Illuminated increases the benefits of Blessing of Light and Weapons of Light. These boosts are primarily based around Disintegrate and Ward of Dawn – there aren’t any modifiers that affect the grenades with the Defender. In general, the Defender is a great subclass for a group of players that are playing together. Playing a solo Defender doesn’t really give you the full benefits that the abilities provide. It’s also a real good subclass to bring into the crucible for Control games, using Ward of Dawn to lock down a point for a bit. Just be aware that the other players can enter the Ward and can Super inside it if they are ready. It’s a class that is built to generate plenty of extra Orbs of Light for your teammates, to keep them supered and able to deal out a ton of damage. One other modifier that I’ve come across for the Defender’s Ward of Dawn was tied to the Exotic helmet Helm of Saint-14. 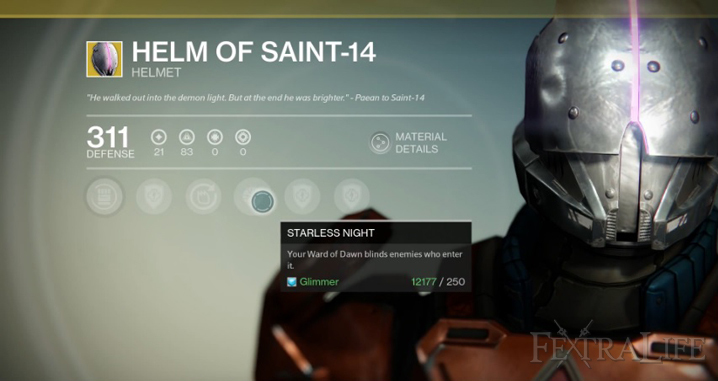 One of the upgrades on this helmet, Starless Night, makes it so enemies that enter the Ward of Dawn are blinded. I don’t really know how useful this is in PvE, but I can see it being very nice in the Crucible. 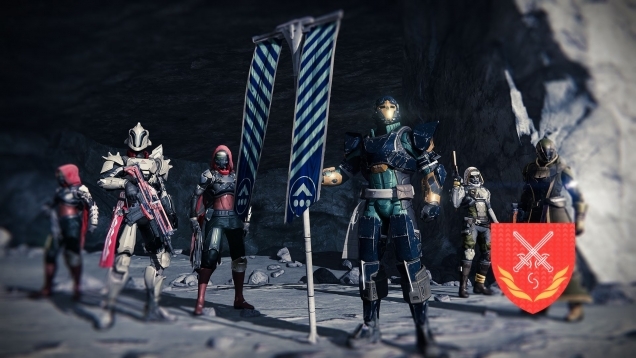 Bungie likes to say that the real game in Destiny starts once you hit level 20. I’m not entirely sure that’s the case – it’s more like the game’s focus shifts away from doing story missions to turning into a grind. Grinding out levels and gear has always been a part of any RPG or MMO, so it’s really not a surprise to see it in Destiny, but I think fans might not have been expecting it to play such a prominent role in a shooter like this. A lot has been said online about the grind for gear post level 20, some of which I agree with. In general I do think the loot drop system needs a little bit of a tweak – either the rates for high tier drops needs a boost, or those rare purple engrams need to guarantee a purple item. I’m actually fine with them giving gear for random classes – they expect you to be playing multiple classes anyway, it’s just frustrating when the purple drops are so rare. I get that on one hand – you can buy purple gear from any of the vendors on the Tower, so really the only truly rare items are the yellow Exotic ones. But in practice, getting those items is just as much a grind – you have to rank up the Vanguard/Crucible/Faction rep to rank 3 before you can buy the weapons, rank 2 for the armor. No matter what, once you reach level 20, get ready to repeat a lot of the same things over and over trying to get lucky drops. I’ve found the Crucible to be a nice way to break the monotony a bit too, since you aren’t just doing the same missions over and over – the problem is that the gear drops seem to be really random. Players that don’t perform well can get Exotic weapons, while MVP’s get nothing. I trust Bungie is working on these sorts of things, but the biggest thing is that players need to have patience, which is very hard in this sort of gaming world. As I was sitting down to write this post, I was planning on quickly mentioning the “Loot Cave” at the Skywatch on Earth, before talking about the other spots that I like to go to for grinding in Patrol. 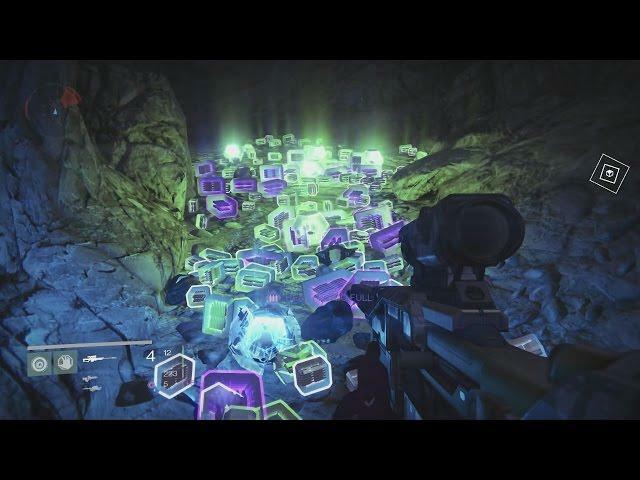 That was the plan, until Bungie released a hot fix for Destiny as I am writing this post that adjusted spawn rates for certain areas, most notably, the infamous Loot Cave. Also in the patch are a couple of the other spots that I like to go – in particular on Venus. Originally, the Shattered Coast and Ember Caves both had spawn timers of 10 seconds, making it very easy to run laps and continually grind loot and chests. After today’s patch the timers were adjusted to 40 seconds, which I think more impacts the Ember Caves. I think the Shattered Coast loop can still be run pretty effectively, just not as quickly as it was before. Beyond that though, there is still a good spot on the moon that can be used – the satellite building in Anchor’s Light has a good loop to run. I haven’t found much in the way of great loot, but it’s a good spot to go for weapon XP and Vanguard rep/Helium Coils too. As Bungie continues to tweak the spawns, both PvE and PvP, as well as the loot system (which it appears they’re working on according to the patch notes) little loops like this will probably change. I’ve never shied away from the fact that the Xbox Achievements play a pretty big role in how I approach some games. Even though I was totally going to be getting Destiny no matter what, the achievement list helped thanks to no particularly insane achievements. In general they’re all ones that are pretty easily obtained through playing the game – nothing requires players to really go out of their way to do crazy things. So with that in mind, I thought I’d provide how I went about approaching the achievements to maximize your gamerscore. First off, there’s only three achievements related to completing story missions – all of which are taken care of in the first few story missions. Beyond those, you can also grab a couple extra ones within those first few missions. During the very first mission make sure to kill the Fallen enemies with headshots and don’t die to ensure you unlock The Bane of the Kell achievement. On your first trip to the tower, make sure to inspect a player there to get that achievement as well. While you are on Earth, you can also make sure you get the Bane of the Dead by killing 25 Hive with headshots – the best spot is on the Last Warmind story mission’s final firefight. You should also be able to grab achievements for dismantling weapons and armor, decrypting engrams, reviving players, reversing an upgrade; as well as start work on completing Public Events. The other precision kills can be tackled on Venus for the Vex (use the second story mission) and Mars for the Cabal (the first story mission has plenty). You can also grab the kill 5 enemies in 3 seconds achievement in the third story mission on Earth – use a super on the group of Thralls that rushes you in the dark room. There are a few other achievements that require you to do a bit of grinding – fully upgrading a subclass will take until you are around level 25 or so. Make sure you are doing as many bounties as possible to make the XP gains go faster. For the two weekly mark achievements, pick one and do it through before focusing on the second. I did Vanguard first, getting 100 marks in a week isn’t too tough at all, just do the Public Events to Gold, as many patrol missions as possible and turn in upgrade materials to the Vanguard Quartermaster. The game says that doing the Vanguard strikes playlist is the fastest way, but I don’t know that is really true. Each completed strike will get you six marks if you play the highest level – doing the others is easier to do solo. As for rep – always do all the PvE bounties, and missions while patrolling for gear. It’s worth doing not only for the achievement, but the gear that unlocks – at rank 2 you can buy Legendary gear, at 3 you can buy weapons. I also was gifted a Legendary weapon once I got to rank 3, but I don’t know if that is a random unlock. Doing the Vanguard stuff is a bit of a grind, but it can help with some of the other achievements as well – going into patrol is a good way to get engrams to drop, with the possibility for Legendary or Exotic items, which are both needed for achievements. Grinding is also part of getting the Lucky 7’s achievement – it’s not actually possible to hit 777 in the Grimoire, but as soon as you break that number the achievement should pop. A great way to build that Grimoire score is collecting the Dead Ghosts – you need them anyway for another achievement. Some of them are hidden in really devious spots, so don’t be afraid to find a location guide – I used the IGN guide to grab mine. As for the Strike and Raid achievements, you really need to go in with friends. The Strike ones are much easier – beating one is pretty easy to do, and being part of a clan is real simple on Bungie.net. There are plenty of open clans for you and friends to join, or you can do what I did and create a group for your friends to be in. Beating one with no one dying is a little trickier, but not too difficult in practice. We got to about level 14 or so and then hopped back into the Earth strike. It’s level six, the only real threats come from the Devil Walker’s main cannon and arc mines, and Sepiks Prime’s “melee” attack. Just take it slow and smart, if your shields break, back off and heal, don’t be afraid to use your supers to get you out of jams; but most importantly – communicate with your teammates. Make sure everyone knows when the Devil Walker is vulnerable, and that they know where Sepiks Prime is when he teleports. As for the Raid achievements, I really can’t speak too much for them – we haven’t tackled it yet, knowing it’s a level 26 quest and requires six players. The last group of achievements to talk about are the PvP ones in the Crucible. The only really tricky one is killing one of each class in one life. Your best bet is playing Control and hoping to see a good mix on a Control point – then super the point. As for the others – getting 100 kills on each class is easy just by playing and killing, maxing out the Crucible marks in a week is easy since you get marks regardless of win or loss; and the heavy weapon kills aren’t terrible either. I recommend a rocket launcher, since it’s got a quicker damage output than the machine guns. Just make it a point to grab the heavy ammo whenever it comes up, and most importantly – use them! They aren’t there to hoard – they are there to get easy kills.